Ever heard of cottage fries? 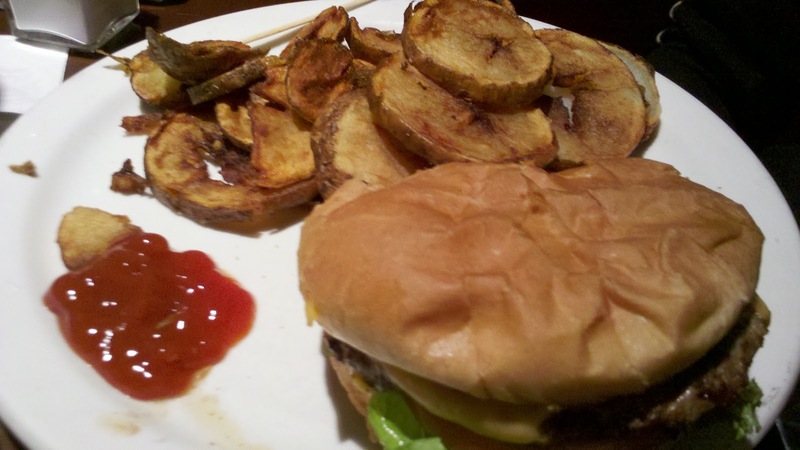 We hadn’t either until we went to Columbus and visited the Press Grill on High Street in the Short North. After a long, enjoyable weekend, we ventured out one last time for lunch on a Sunday afternoon in Columbus. For those that have never been to the city before, the downtown area is fairly dead, so if you want any sort of lively interaction you should head to some of the outlying neighborhoods just outside of downtown. At the Press Grill, we learned that cottage fries are potatoes that have been baked, cooled, sliced into coins and then again fried, which makes for a very different fry than those we call “french.” Such a simple, yet timely preparation, is something I will likely try to repeat at home sometime, hopefully with the same results. Press Grill, as a restaurant, is much more affordable than some of the surrounding restaurants, but has just as much character. It’s probably more of a bar and grill as a very long counter top bar stretches the length of the restaurant with several high-top tables along the opposite wall. I believe TasteBudA’s burger was good, though he too was very hungry and didn’t make much small talk once the food arrived. 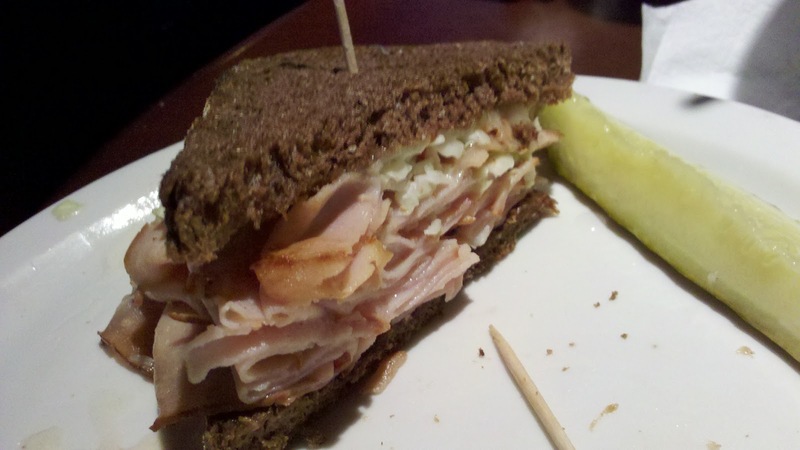 My turkey reuben was very tasteful and stacked high with meat. My apologies for only half of the sandwich making the picture, I had missed breakfast and started eating pre-photoshoot. The relaxed atmosphere, however, spilled over into the waitstaff who apparently all wait on all the tables and don’t communicate to either other. Nor do they have a problem airing their dirty laundry within earshot of patrons. But I guess, that’s why this is more of a pub, than a formal restaurant. Perhaps this is something only the Sunday afternoon staff do. It makes me wonder if when they are much more busy they act more professionally. Overall, I found it to be a great experience for the value. We both had lunch for less than $10, which was a great low-key ending to an otherwise exciting weekend vacation.